Experiment with a system of two lines representing a cat-and-mouse chase. 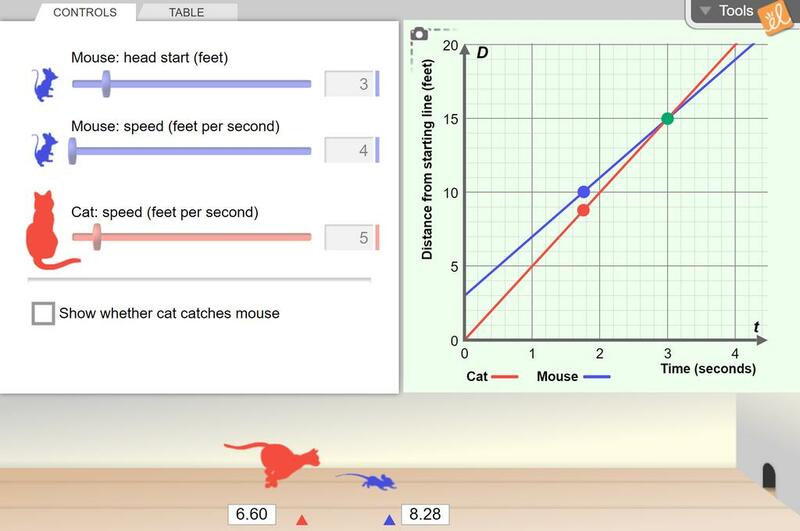 Adjust the speeds of the cat and mouse and the head start of the mouse, and immediately see the effects on the graph and on the chase. Connect real-world meaning to slope, y-intercept, and the intersection of lines. Questions lead students to understand the connections between solving a system with graphing and solving ... (more)a system with substitution. You may want to use this one.